Everyone scrambling to get ready to head out the door. Tripping over shoes. Kids fighting over who gets to ride in the front seat. Yelling for everybody to grab their backpacks and get in the car at least 3 times. My requests falling on deaf ears. I was at the bathroom sink, in front of the mirror, putting on my makeup. And a random thought came to me, one I had never had before. 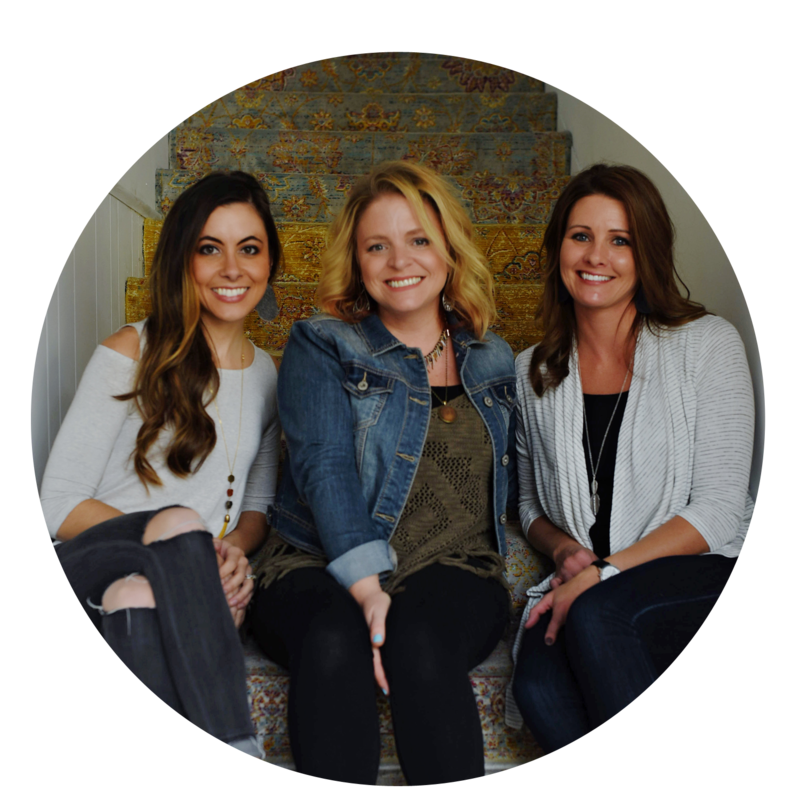 Backstory: My friend Jayme and I were both relatively new to the Young Living business, and we were doing a lot of team teaching. Two heads are better than one, kind of thing. We were already friends, and working together on our businesses together as one team just sort of happened organically. So I texted her. Kind of like a funny-ha-ha kind of text. Here’s a screenshot of our convo. Over the coming days, I couldn’t get it out of my head. This dream had been birthed inside me, and it wasn’t going away. I already knew there was no stopping it. We talked about revisiting the idea in a couple of years. Now? No. Now couldn’t be the right time. We’re both moms to four kids, and we both were working our oils businesses AND other jobs. Oh. And we had no money <— Important fact to note. But still. That dream persisted. Fast forward to a few days later, and we had a space to look at. We were considering asking for a room to rent in that space. An office, maybe, if it seemed like the right fit. The next player in the impossible dream: Sheena. She is our mutual friend and one of our (amaaaazing) Young Living leaders. We knew that she had good business sense and was more knowledgeable about this type of thing than we were. So, we asked her if she wanted to come look at this space with us. We wanted her input and guidance. Her answer was a resounding yes. And not only was it a yes, but unbeknownst to us, she had already been looking into getting a space downtown. She had dreamed of a space like we had dreamed of a space. Screeeeech. WHUT. Stop the bus. I know. Over the coming weeks, we called about and looked at multiple spaces. We had contractors come out, we made vision boards, we strategized and brainstormed. We made offers and we had offers shot down. We were hopeful and we were discouraged. But through it all, we all agreed that God had planted this dream within us and He would see it to fruition. Or would He? Were we wrong that this was a God dream? You know, the one where you know in your gut that He has led you to this place. We KNEW it was. But we were hitting road block after road block. And was that a sign that we weren’t in line with His will?